London based artist Mikhail Karikis presentes his recent audio-visual performance exploring the aural imaginary of Hell, followed by discussion with the artist. 102 Years Out of Synch is an audio-visual performance by Karikis exploring the striking connections between the invention of sustainable energy production; Giuseppe de Liguoro’s Dante’s Inferno, the first Italian feature film; and the sonic imaginary of Hell. This work formed the starting point of a major new piece by Karikis comissioned to premiere this week at the 19th Biennale of Sydney. The work takes place at the Italian geothermal site of Larderello in Tuscany, where the first and still one of the largest electricity power plants is based. Local legend claims that in the 14th Century, Dante visited the site and drew inspiration from its arresting geology for his famous epic poem Inferno. 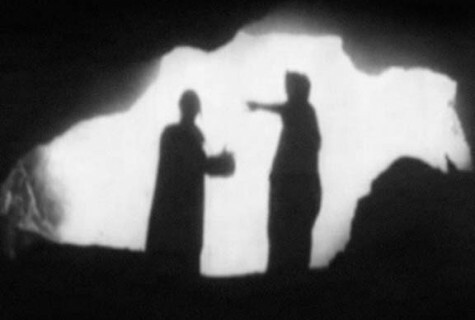 In turn, the year 1911 saw the cinematic adaptation of Dante’s poem in the homonymous first Italian silent feature film directed by Giuseppe de Liguoro. In contrast the countless visual representations of Hell inspired by this Tuscan location, its rich sonorities have remained mute. In his performance, Mikhail Karikis retraces Dante’s steps in an attempt to hear what the poet might have heard. The artist visits the site to record its volatile geothermal sounds and the rumbling industrial noise that marks the contemporary local soundscape. Combining newly filmed footage and fragments of the 1911 silent film, environmental sound recordings, narration and extended vocals, the performance 102 Years Out of Synch mines the strata of legend, industrial archaeology, subterranean resonance and the aural imaginary.